Click on the dates below to view / hide the details for that region of time. March - Congress authorizes the Secretary of Treasury (Thomas Corwin) to convene a board composed of 2 high-ranking navel officers, 2 army engineering officers, a civilian 'of high scientific attainment' and a junior officer of the navy to act as secretary of the board. 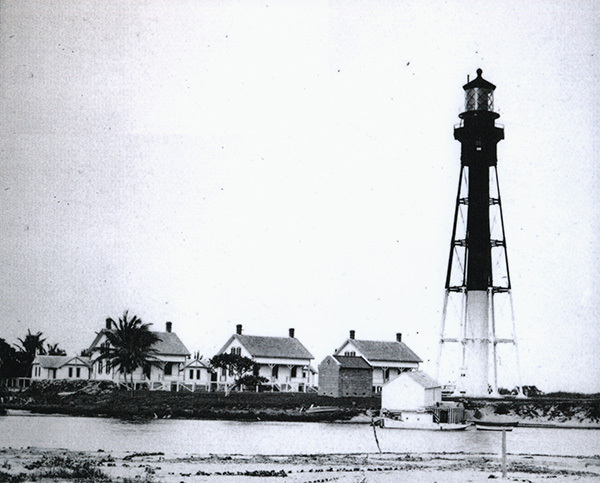 The conclusions and recommendations of the deficiencies of the current lighthouse situation in the United States led to Congress establishing the United States Lighthouse Board. The United States Lighthouse Board is established with 9 members. 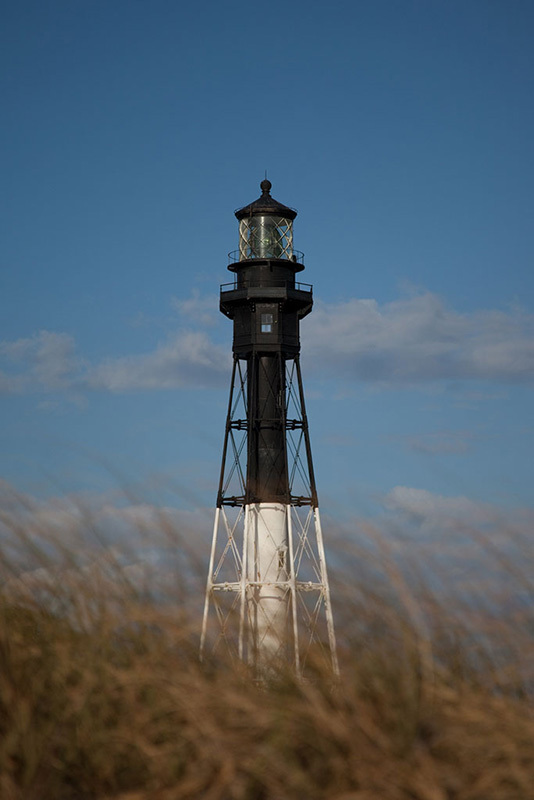 The United States Lighthouse Board authorizes an inspection of all existing lighthouses and survey all navigable inlet on the eastern seaboard. 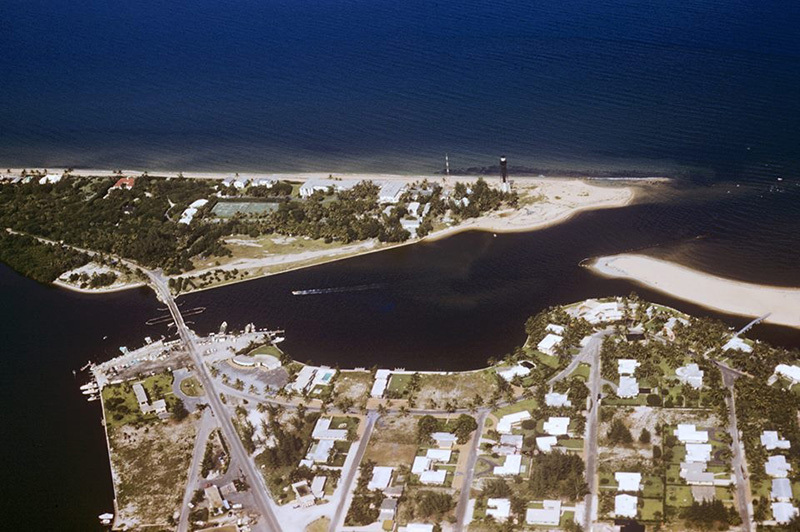 The Army Corp of Engineers determined that the Hillsboro Inlet be designated as hazardous to safe navigation of vessels. 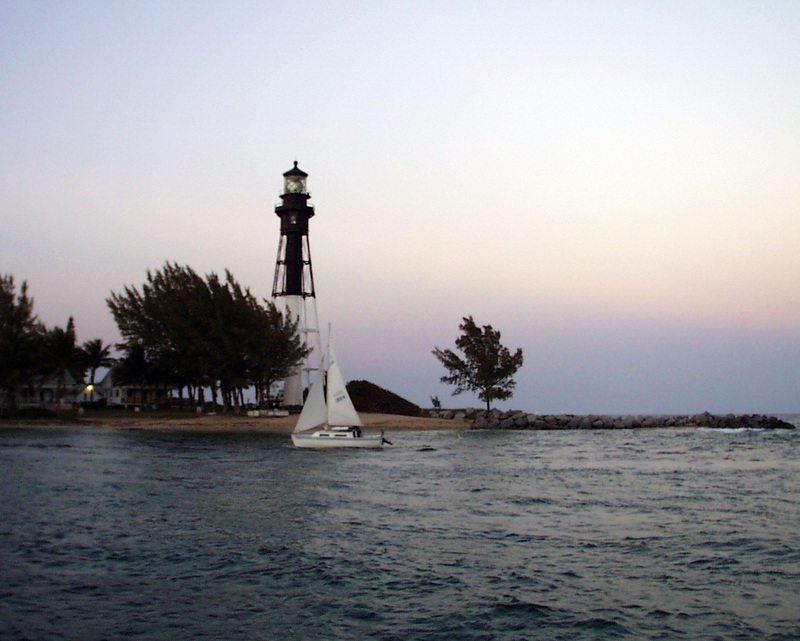 A recommendation was made to Congress to authorize fund to design and construct a lighthouse at or in the vicinity of the Hillsboro Inlet. But, due to lack of funds, no congressional action was taken. Geodetic Survey Team is commissioned to study the area for a potential lighthouse. 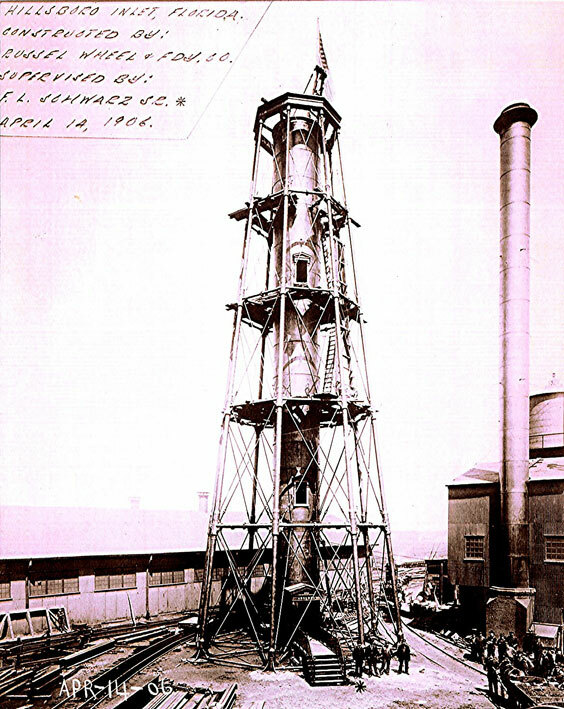 Geodetic Survey Team’s first request for a lighthouse is submitted in 1886. 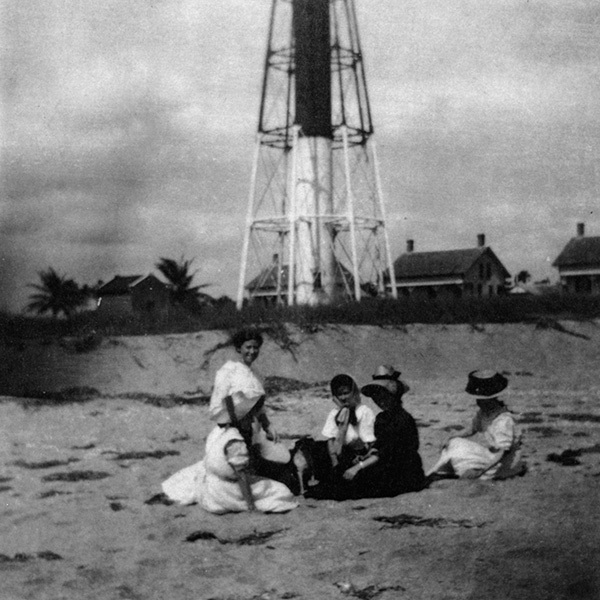 Congress authorizes construction of the lighthouse at a cost not to exceed $90,000.00, but no appropriation was made at that time. The project was put on hold pending allocation of government funds. June 28 - An Act of Congress approves $45,000. March 3 - A second Act of Congress approves $25,000. March 3 - A third Act of Congress approves $20,000. August 24-26 - Dept. 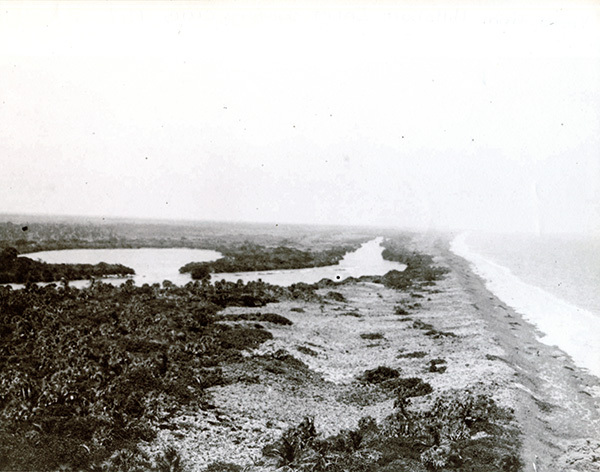 of Treasury buys approximately 3 acres of land at the inlet from Mary and Frank Osborn (1/2 interest) as co-executors of the estate of Ezra A. Osborn and Elnathon T. Field (1/2 interest) for $150.00 each. 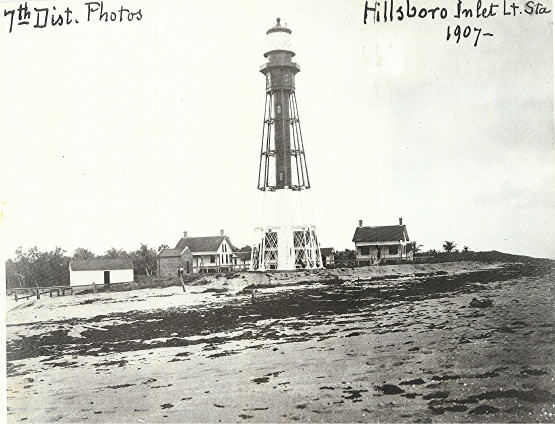 Deed states: Unit name is Hillsboro Inlet Light Station for the purpose of a lighthouse. 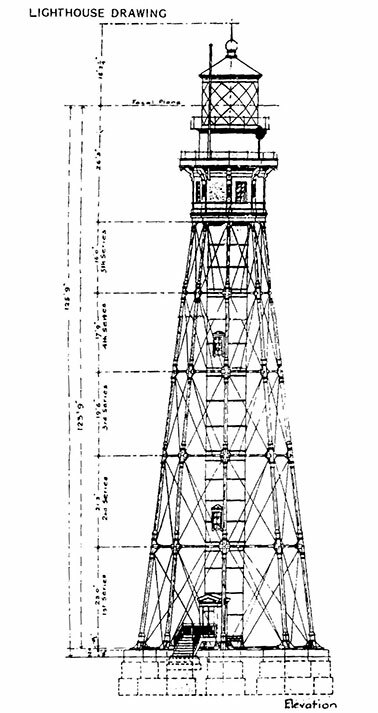 Russell Wheel and Foundry Co. of Detroit, Michigan awarded the contract for a skeletal lighthouse of 136 feet high to the lens room and a total of 147 feet at its highest point. Barbier Benard et Turenne, of Paris, France awarded contract for lens and turning mechanism. The second order lens height is 8 feet in diameter, Rated at 550,000 candle power for a cost not to exceed $7,250. G.W. 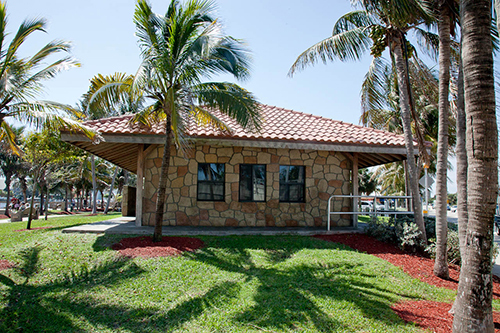 Brown Construction of West Palm Beach, Florida awarded the contract to build 5 buildings for a cost of $21,500. 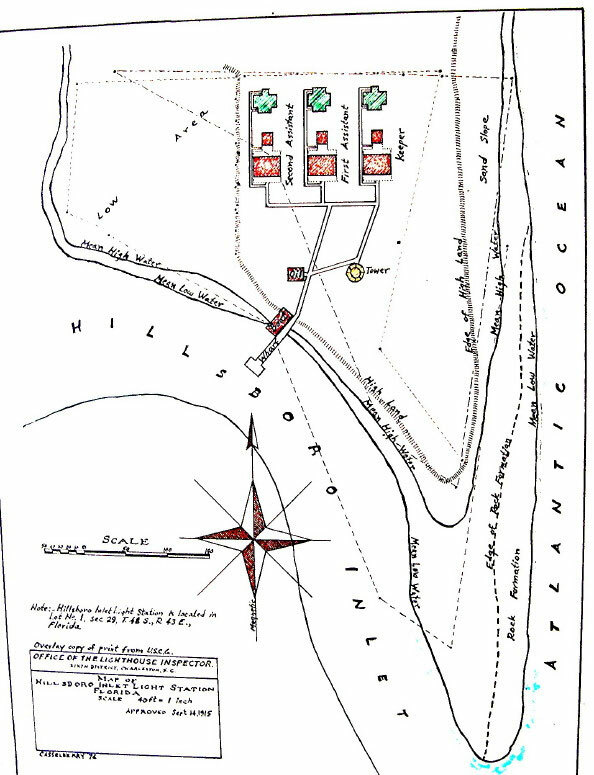 The buildings are: 3 houses, 1 oil-house and 1 barracks. 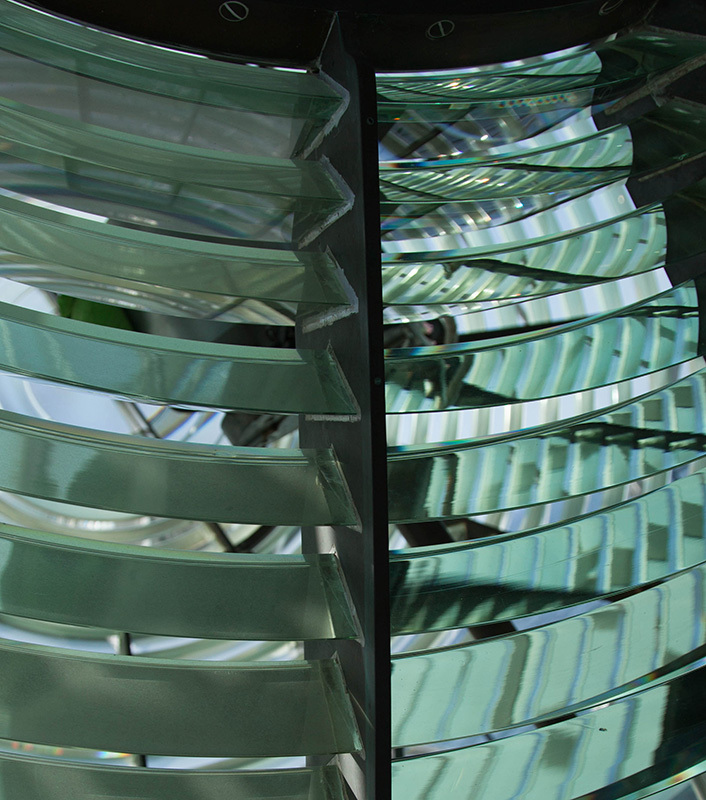 Lighthouse is completed, inspected, and approved for service in Detroit. January - The lighthouse is disassembled and shipped via Lake Erie, Lake Michigan, Mississippi River, Gulf Mexico, around Key West, and north to the Hillsboro Inlet - for a total of 4,000 Nautical-Miles. The lens is shipped from Paris, France to Miami, Florida and then north to the Hillsboro Inlet. J.H. Gardner Construction Co. of New Orleans, Louisiana awarded the contract for clearing the land-laying foundation, re-assembling and erection for a cost of $16,792. The grounds, buildings, lens and lighthouse are thoroughly inspected by the Corps of Engineers and is finally authorized for service by Major MacQuirth, U.S. Army Corps of Engineers, Head Engineer, Eighth Engineering District. 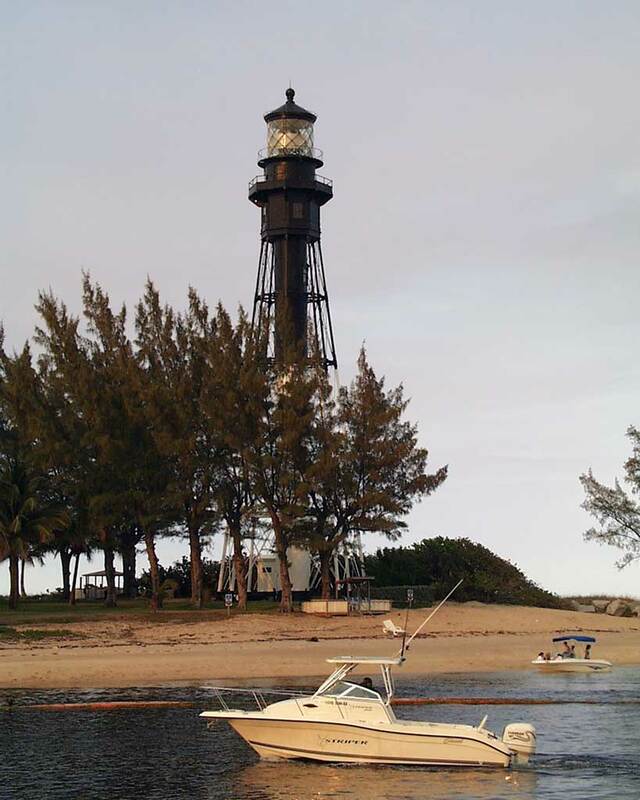 March 07 - Hillsboro Inlet Lighthouse first illuminated and placed into service under the jurisdiction of the United States Lighthouse Board. 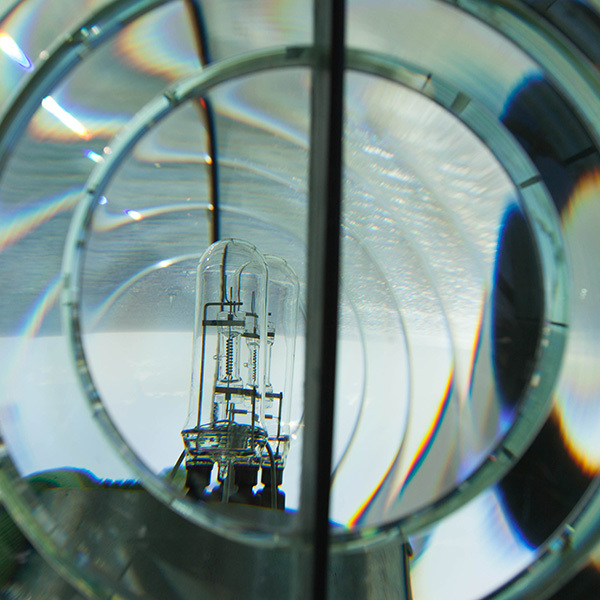 The light is provided by an incandescent Oil Vapor Lamp (similar to a “Coleman Mantle Lamp”) in a revolving Second Order Fresnel Lens. The rotation flash of the light is set to a 10 second period. 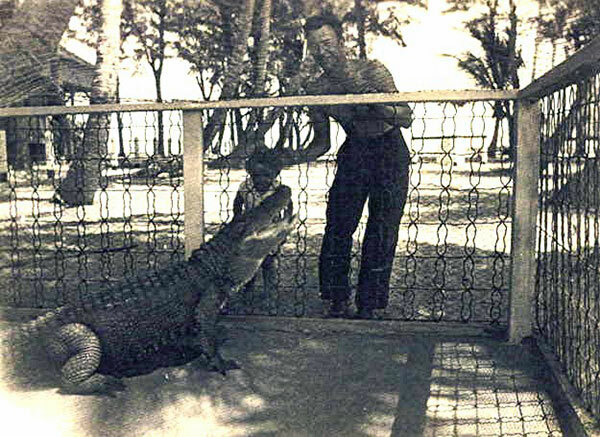 A Lighthouse (head) keeper and two assistant keepers are authorized. First keeper Capt. Burghell with 2 assistants. The Lighthouse Keepers are given the title of Captain. 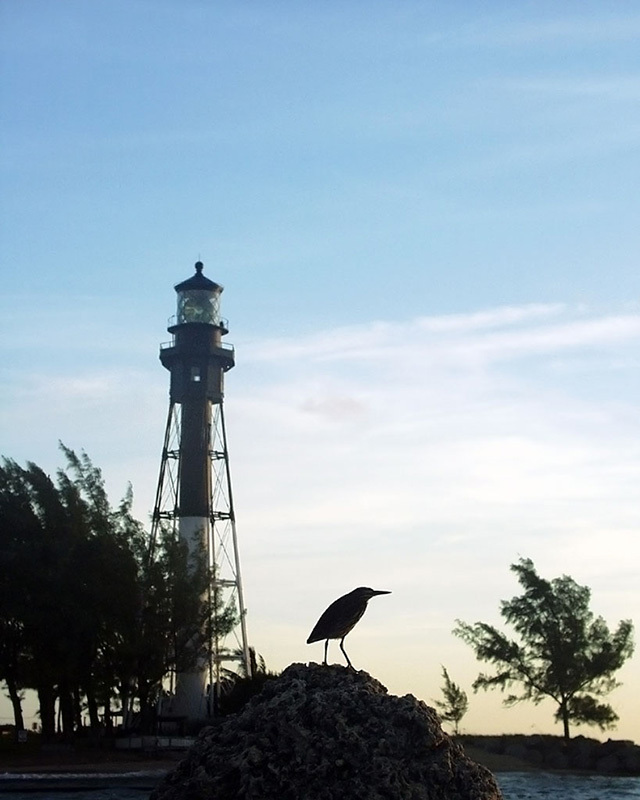 March 08 - Keys, Henry A., assigned as 1st assistant lighthouse keeper. Continued service until March 21, 1907 - only 13 days. March 08 - Thompson, Robert H., assigned as 2nd assistant lighthouse keeper. Continued service until June 1, 1908. March 09 - Berghell, Alfred A. Keeper assigned as first lighthouse keeper. Continued service until August 1, 1911. March 21 - Albury, Thomas E., assigned as 1st assistant lighthouse keeper. Continued service until March 01, 1909 - resigned. 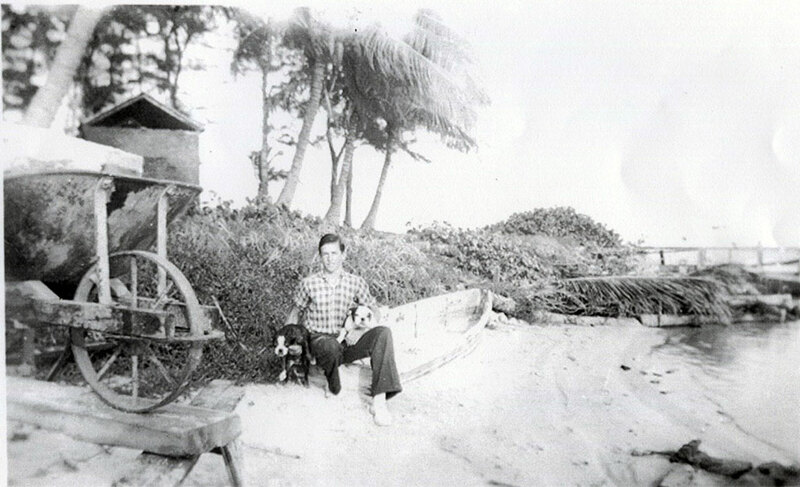 June 01 - Curry, Samuel R.A. assigned as 2nd assistant lighthouse keeper. Continued service until July 12, 1909. March 01 - Lopez, Clifton H. assigned as 1st assistant lighthouse keeper. 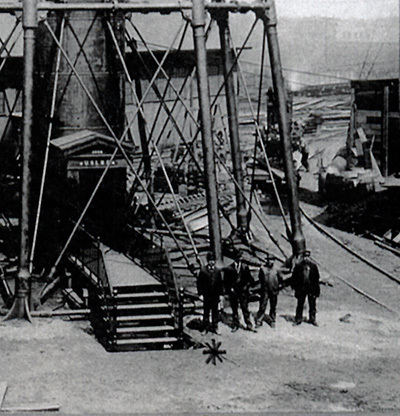 Continued service until September 11, 1909. March - Lopez, W.A. assigned as 1st assistant lighthouse keeper. Continued service until August 1909 - resigned after shooting his brother 3 times. July 12 - Behringer, Harvey E. assigned as 2nd assistant lighthouse keeper. Continued service until April 01, 1910. September 11 - Pinder, Ramon assigned as 1st assistant lighthouse keeper. Continued service until October 21, 1910. Federal Department transfer, USLHE (Revenue) USLHS (Commerce) 1920 Converted to Electricity. 4-250W increased Power to 2.5 million CP. April 01 - Shanahan, Michael L. assigned as 2nd assistant lighthouse keeper. Continued service until July 01, 1911. October 21 - Neumian, George B. assigned as 1st assistant lighthouse keeper. Continued service until just before 1919. January 01 - Sharit, William M. assigned as 2nd assistant lighthouse keeper. Continued service until July 15, 1911 - only 6 months. July 15 - Corcoran, John T. assigned as 2nd assistant lighthouse keeper. Continued service until December 03, 1911. August 01 - Knight, Thomas assigned as lighthouse keeper. Continued service until 1936 - retired after 35 years in service. 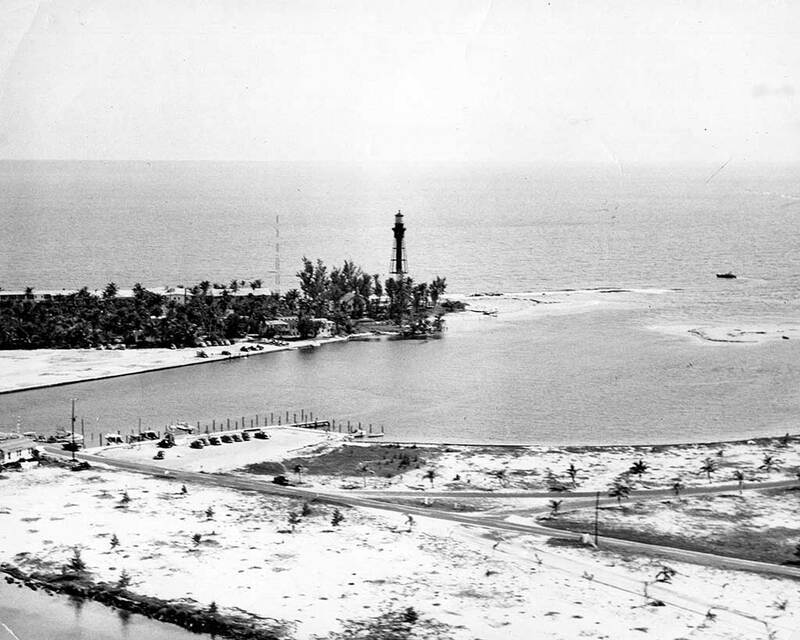 December 03 - Meyer, Lawrence F. assigned as 2nd assistant lighthouse keeper. Date of discontinued service - unknown. Paid $456/year. Malloy, Clarence assigned as 1st assistant lighthouse keeper. Date of discontinued service - unknown. Heisser, Rinaud assigned as 1st assistant lighthouse keeper. Nivens, R. assigned as 2nd assistant lighthouse keeper. Continued service until just before 1921. 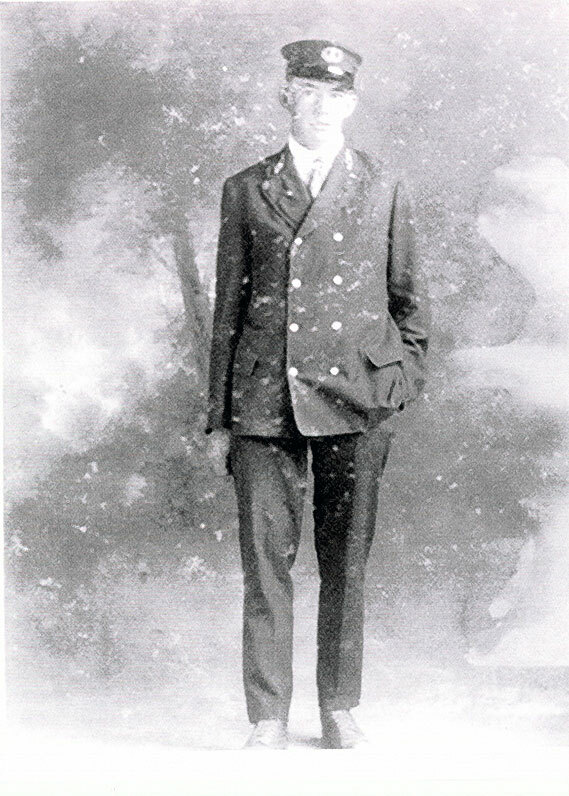 November 1920 - Phelps, G. assigned as assistant lighthouse keeper. Continued service until June 1923. Powell, J.E. assigned as 1st assistant lighthouse keeper. Isler, Judge Beckman assigned as 2nd assistant lighthouse keeper. Stone, Benjamin F. assigned as assistant lighthouse keeper. Continued service until after 1927. 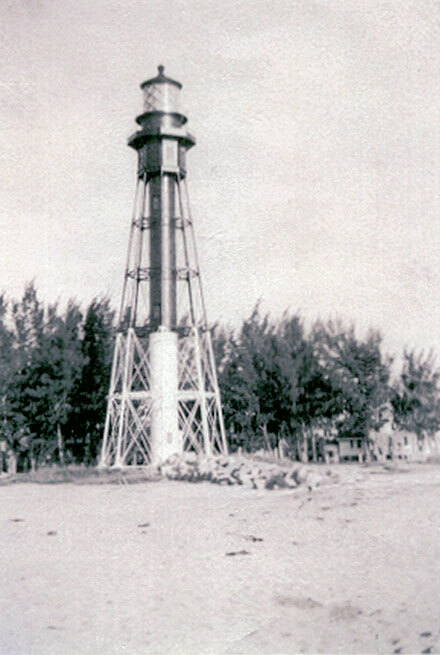 Assigned as lighthouse keeper in 1936. Major hurricanes caused havoc at the station with downed trees, torn roof and small boats stranded on land. Heavy stone breakwater installed from base of the lighthouse to ocean 260 ft. long to stabilize land point. Light was electrified with three 250 watt bulbs. July 07 - Federal Department transfer, USLHS (Commerce) to USCG. All lighthouse keepers after this date are Coast Guard service men. Light kept off during this time period due to WW II. Bennett, Warren., Boatswain Mate 1. Service from 1943 - 1951. Kandore, H., Boatswain Mate 1 assigned as lighthouse keeper. Childs, J.S., Boatswain Mate 1, assigned as lighthouse keeper. Miller, J., Boatswain Mate 1, assigned as lighthouse keeper. Edelkamp, F., Boatswain Mate 1, assigned as lighthouse keeper. Tucker, Frank, Boatswain Mate 1, assigned as lighthouse keeper. Evdokimoff, J., Boatswain Mate 1, assigned as lighthouse keeper. 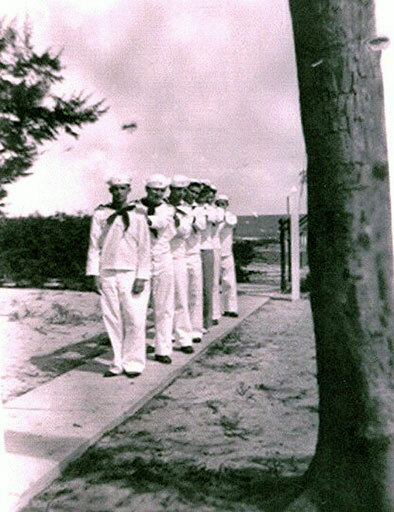 Thurston, D.F., Boatswain Mate 1, assigned as lighthouse keeper. Warren, Frank, Boatswain Mate 1, assigned as lighthouse keeper. 3-250W bulbs are replaced with one 1,000 increasing power to 5.5 million CP and a range of 28 NM. Lloyd, J.D., Boatswain Mate 1, assigned as lighthouse keeper. Rodgers, John T., Boatswain Mate 1, assigned as lighthouse keeper. Steerman, Donald H., Boatswain Mate 1, assigned as lighthouse keeper. Partridge, Donald W., Boatswain Mate 1, assigned as lighthouse keeper. Jacobson, Larry., Boatswain Mate 1, assigned as lighthouse keeper. Sutton, Michael, B., Damage Control 2, assigned as lighthouse keeper. Vosburgh, J.S., Damage Control 1, assigned as lighthouse keeper. 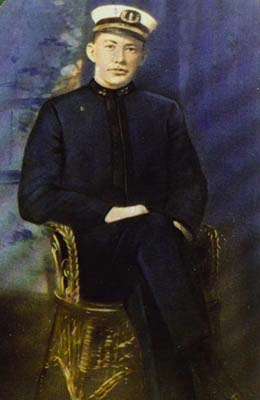 Golembeski, Thomas M., Chief Quartermaster, assigned as lighthouse keeper. Helms, Mike D., Elec. Mate 1, assigned as lighthouse keeper. May 22 - Broken gears forced the lens to be turned off and replaced by a Vega 25 temporary beacon, 28VDC. Jesse, Larry G, Damage Control 3, assigned as lighthouse keeper. 400 pounds of mercury removed from original turning mechanism. CG recommends to scrap the classic lens. Public pressure allows CG to fund for major renovation to the external part of the tower by sand blasting lead base paint. Worth Construction of Jacksonville is awarded the contract to remove lead base paint replacing it with Epoxy for a cost of $98,000. Collins Engineering Co of Chicago is awarded a contract to design a new bearing mechanism to replace the removed mercury function. Also to design interior restoration to its original state. Sparkenbaugh, David L, Damage Control 3, assigned as lighthouse keeper. Continued service until January 06, 1998. January 06 - Koger, Roger H., MK2, USCG, assigned as lighthouse keeper. Continued service until September 1998. September - Makenian, Arthur A., ME USCG-Aux, assigned as lighthouse keeper. Continued service until April 2002. Worth Contracting, Jacksonville low bidder awarded contract, but fails to deliver work as described. November - USCG CEU/ANT/AON/ Allows CG Aux to maintain lighthouse under direction of Art Makenian. January 28 - The Classic lens is back to operation with all new electrical wiring. February 28 - Newly designed bearing fails. Temp Vega 25 is back on. April - CG-CEU authorizes the Auxiliary to Design a new bearing and install. June - Torrington Bearing Co is awarded a contract to manufacture a one piece bearing for $18,000. July - USCGA completed installation of Torrington bearing and runs tests. August - Re-lighting ceremony held to celebrate completion classic lens back on line. April - USCG ANT Miami & ANT Fort Lauderdale, assigned as lighthouse keeper. Continued service until present day. 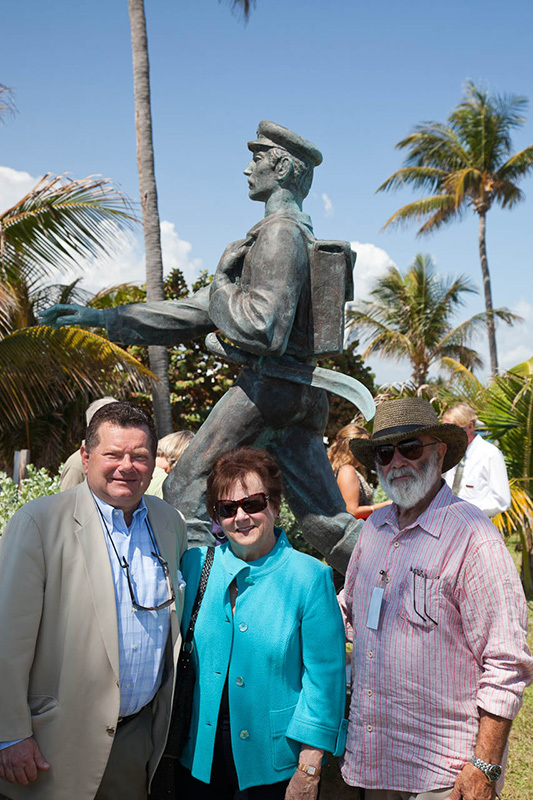 June 16 - Barefoot Mailman statue replica relocated to Hillsboro Lighthouse Station. June 16 - U.S. Postal Service (USPS) issues a commemorative Hillsboro Lighthouse stamp. Excavation around tower base to its original design and new curved sand barrier wall installed. August - Six years of continuous operation. 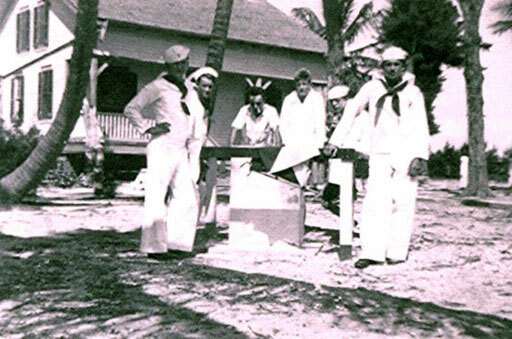 December 14 - USCG approves Centennial Brick Patio on lighthouse grounds. November 19 - Centennial brick patio is dedicated. December - Inlet dredging is discontinued due to environmental concerns. January - May - Lighthouse is re-painted. 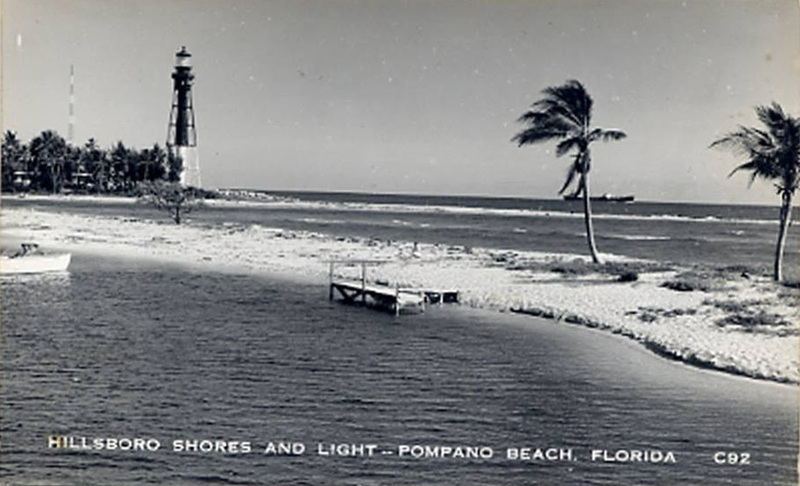 January - HLPS contracts with Pompano Beach to open lighthouse museum at inlet park. 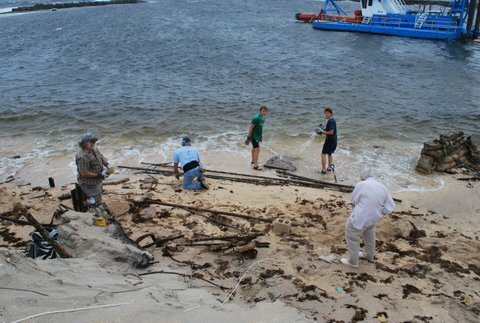 June - Months after dredging is stopped, storms expose lighthouse tie-bars, parts of the old dock, oil house bricks, and other artifacts on south beach area - all from the 1940's and earlier. 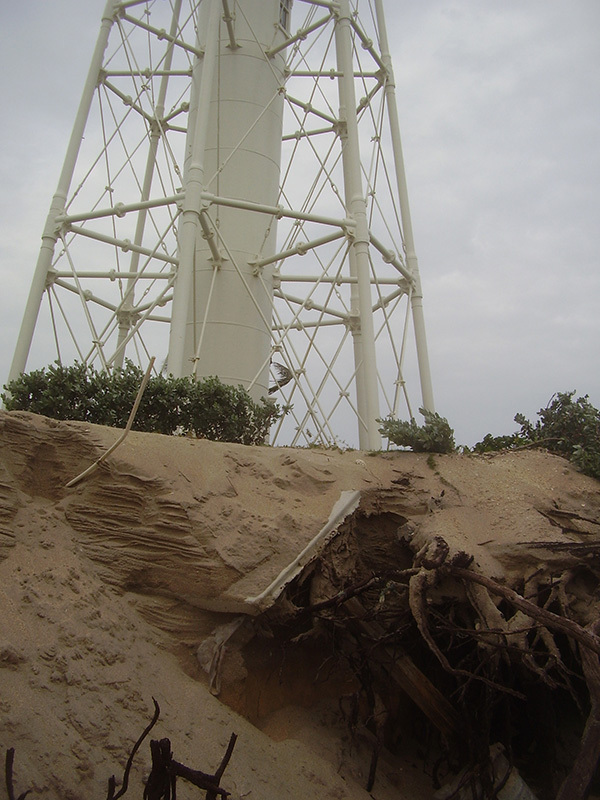 June 24 - Inlet dredging is resumed after erosion threatens to expose the lighthouse pilings. 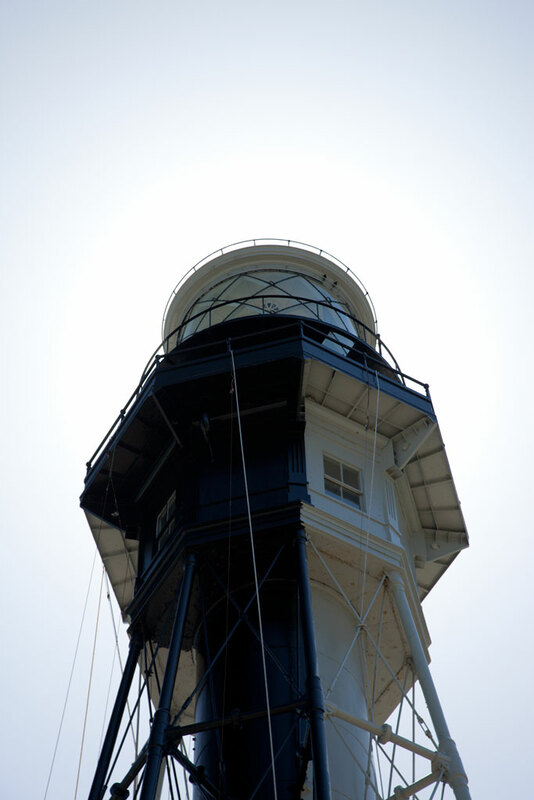 January - USCG releases all maintenance and duties for continued service of the lighthouse to the HLPS. June - Regular 6 month lens cleaning cycle is resumed by the Herman family (Ken, Laal, and Kit) - approximately 12 years after being discontinued. June - Open brick area is place around Barefoot Mailman statue by volunteers. 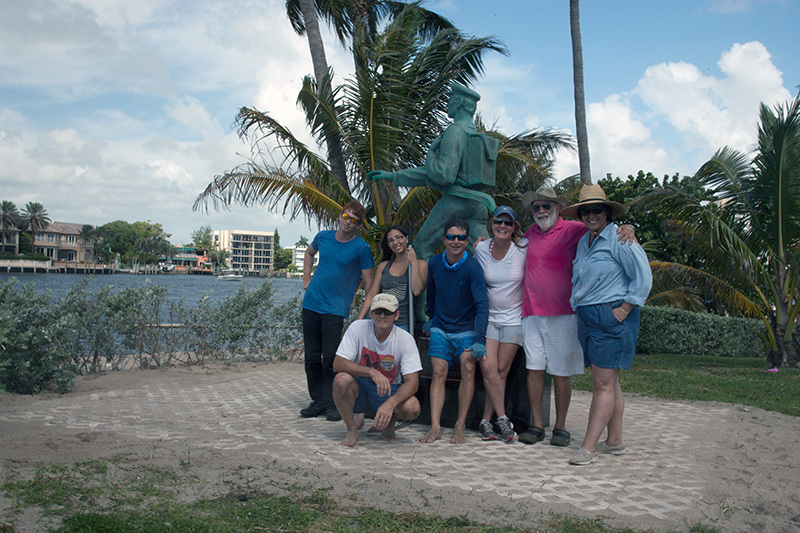 December - Old Barefoot Mailman statue is donated to create artificial reef.